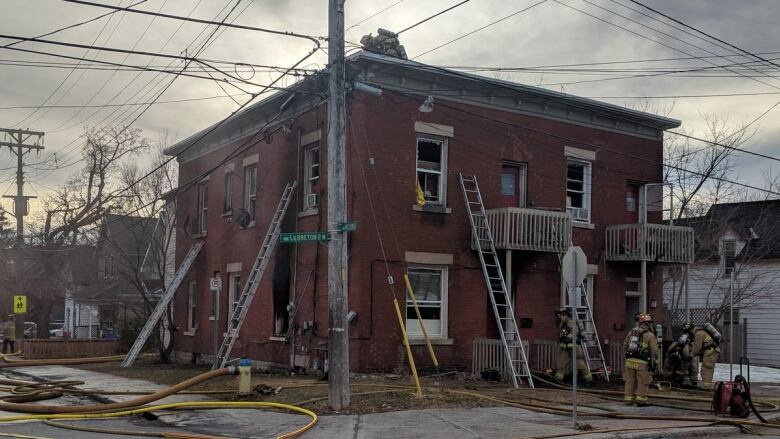 Firefighters were called to a rooming house in Chinatown after smoke and flames were seen coming from a basement unit. More than a dozen people have been displaced following a fire at a rooming house in Chinatown. Firefighters were called to the two-storey building at 118 Lebreton St. N. at about 6:20 p.m. Thursday. They found smoke and flames coming from a basement unit, Ottawa Fire Services wrote in a news release. The fire was under control more than half an hour later and out by just after 7 p.m., the department said. No one was injured. Damage is estimated at $400,000 and an investigation is underway. The Red Cross and Salvation Army are helping those who have been displaced.